GenieConnect® is the brainchild of Rob Parkes and Tim Morgan – successful business owners, entrepreneurs and engineers with 50 years of experience between them. Our mission is through innovative technology allow adults to live healthy, happy independent lives for longer. An engineer and sales and marketing professional by trade, Rob has leadership experience in FTSE 250 British businesses, and spent over 20 years developing and launching products and services in the telecoms sector. Rob set up Service Robotics in 2017, to develop technology-based services that harness the benefits of the robotics revolution to ease the burden of care and help improve the lives of the British public. A serial entrepreneur with 28 years of leadership experience in the world’s biggest telcos and infrastructure providers, Tim joined Service Robotics when he saw the difference it could make to the lives of ordinary people. Previously employee number one at Orange, Tim was responsible for – among other things – helping to launch text messages. 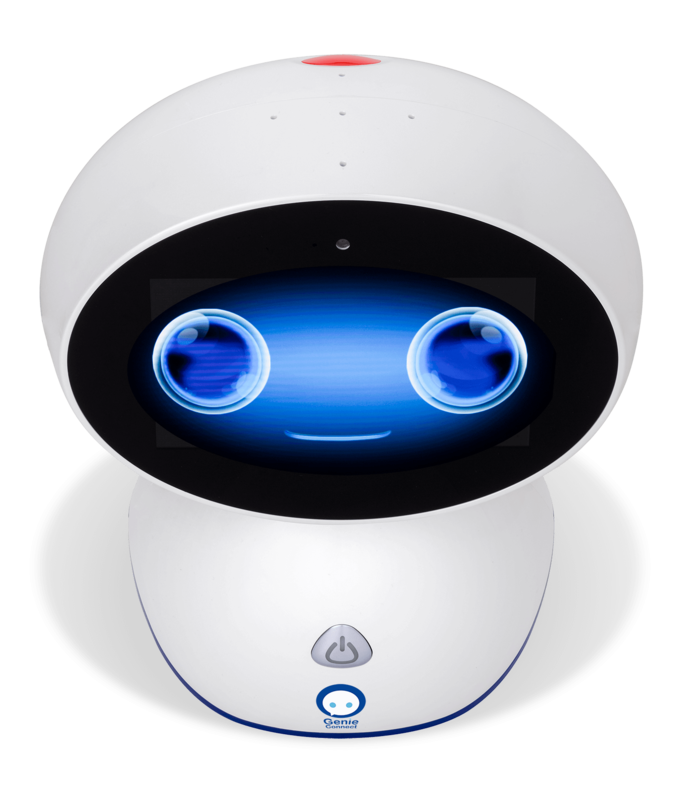 Not forgetting the star of the show, our friendly robot, Genie – responsive, helpful, intuitive, a great learner, and – above all – a great companion. We’re proud to have backing for GenieConnect® from the UK’s leader in the development of robotics for older adults. A partnership between the University of the West of England (UWE) and the University of Bristol, BRL is the world leader in current thinking on service robotics, intelligent autonomous systems and bio-engineering. The GenieConnect® project is supported by the UK’s leading developer of software for the personalised engagement of older adults. RemindMeCare is a unique app that delivers activities, support and therapy to improve person-centred care for the elderly and people with dementia.